As you know, this Thursday is Harry Potter Book Night. 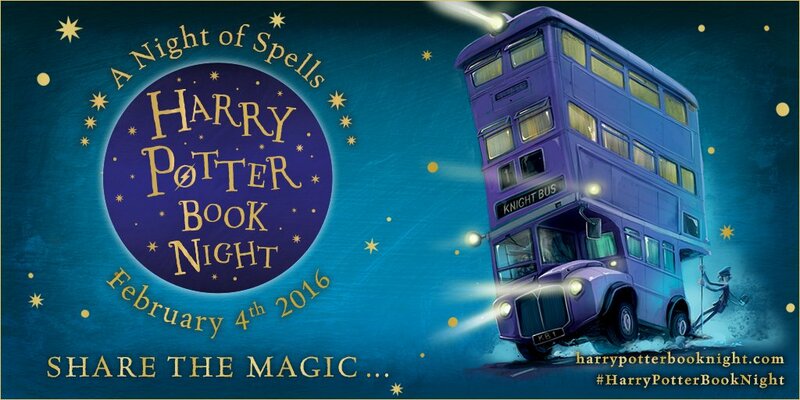 Where I live, there are no HP parties around, so I have decided to throw my own. The last couple of weeks, I have been browsing the Internet to get ideas for the decoration and I have found so many cool ones that I have decided to share with you some of them. 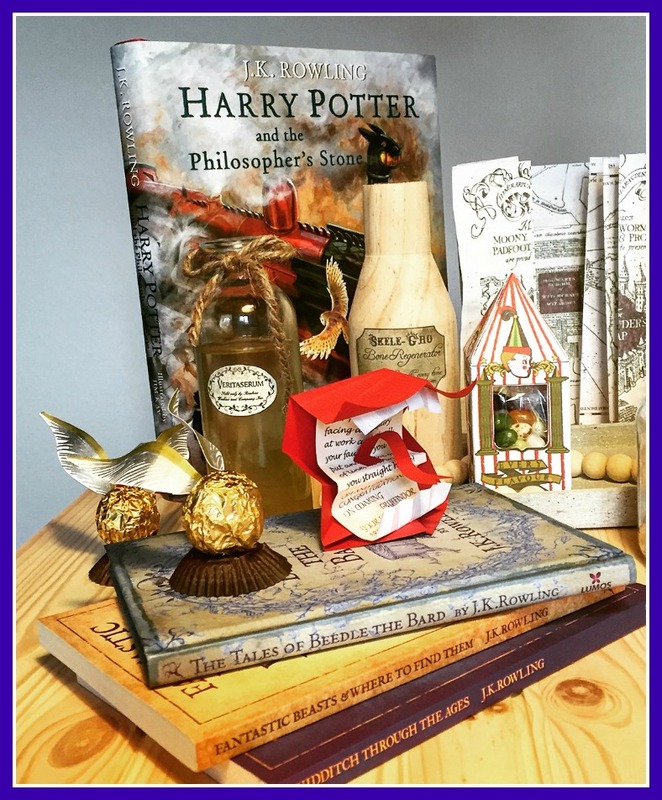 One of my favourite shops in the wizard world in Honeydukes, where you can find the coolest sweets. 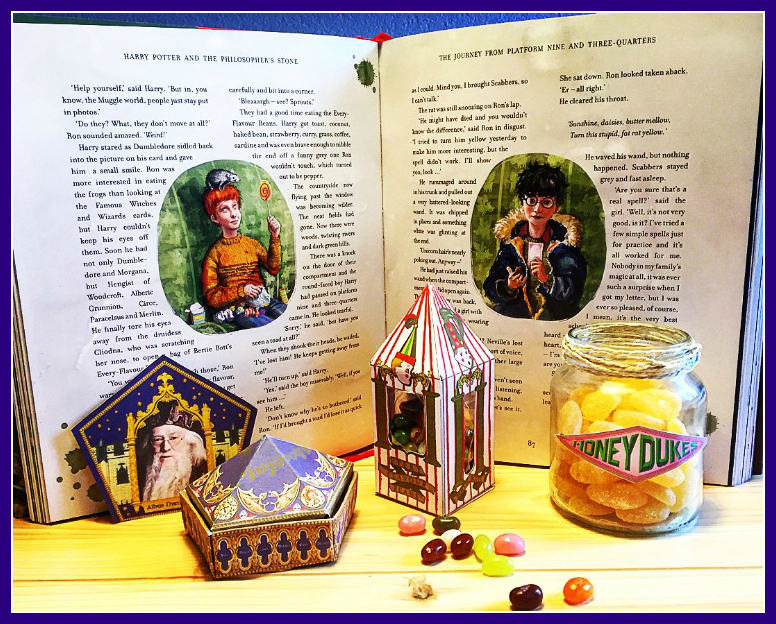 So I made some of their star products: the every flavour beans, the chocolate frogs and the sherbet lemons. For the chocolate frogs, I downloaded a printable of the box from Food in Literature. I printed and assembled it and I'm quite happy with the result. 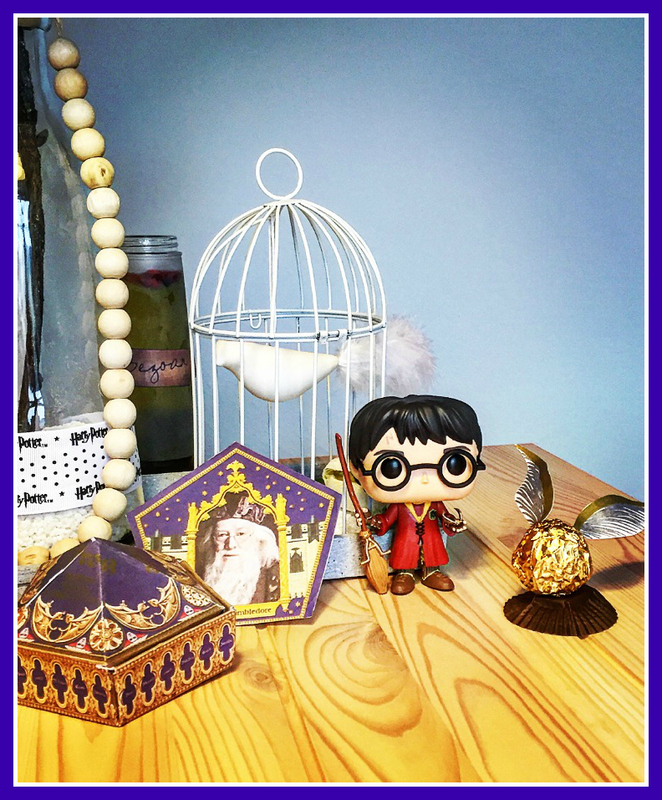 And of course, for the magical card inside, I chose Dumbledore but you can find card online of all the wizards you want. Next, I wanted to have the Bertie Bott's Every Flavour Beans Box. 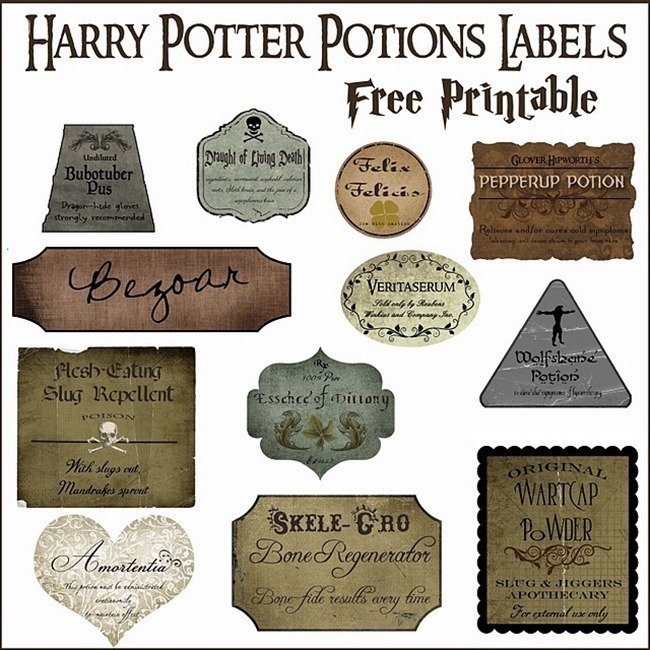 After a little search, I found the perfect printable at Harry Potter Paraphernalia. After assembling it, I found the weirdest jelly beans I could find on the supermarket. The ones I found even have daikiri or mojito flavours! And finally, for the sherbet lemons, I simply printed the Honeyduke logo and put it on a glass jar. Don't you just love the scene in Harry Potter and the Chamber of Secrets when Ron gets a howler from his mum? His face is priceless. So I decided to have my own Howler. I found this origami tutorial online and then I made my own note with Mrs Weasley's words inside. 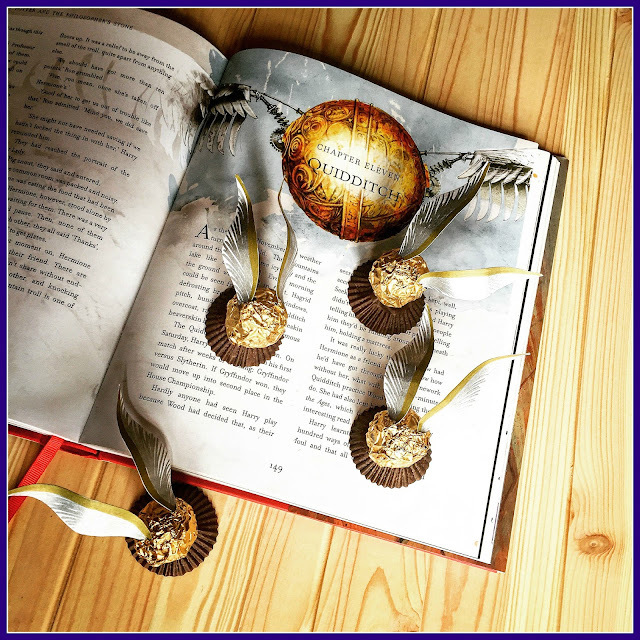 My first idea was to do some cake pops and add the wings but I realised that we had Ferrero Rocher at home and I thought that they would made perfect snitches. I painted some wings with gold and silver markers and voilà! And finally, you can download or create your own labels for your favourite potions. I used this printable from Over the Big Moon to have my own potions. 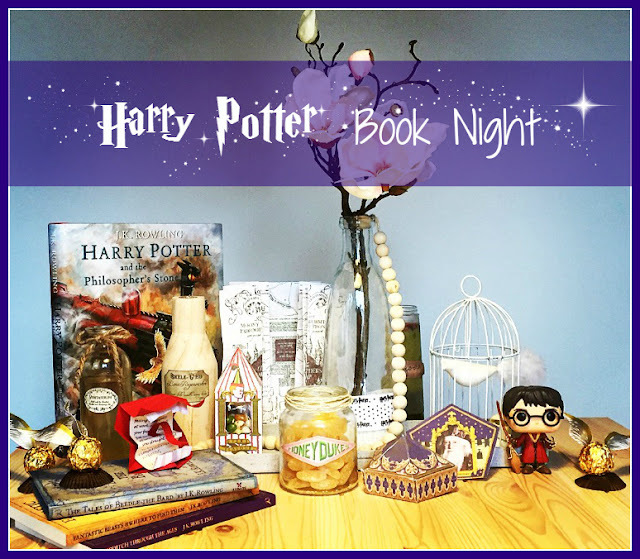 I hope you have enjoyed this post and you have found some ideas for your own Harry Potter Book Night party! In the next couple of days, I will share some easy recipes from the HP world I have tried that will go down as a treat next Thursday! Ahhhh just wrote a lovely long post and it got lost somewhere. Try again. I didn't know it was Harry Potter day Thursday and as a big fan I should. Why is it this date though? I will have to delay our party till Friday. We have been lucky enough to visit the studios twice and it is amazing. The girls have the chocolate frog boxes and we bought the every flavour bean. They lasted a very long time as they are every flavour -yuck. I didn't know the beans where actually every flavour... some must be... let's say interesting! haha I'll get some when I go!